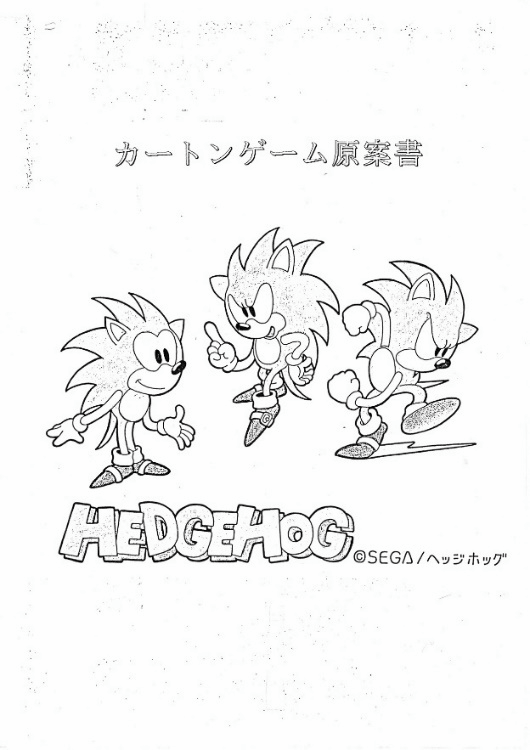 Video game legend and former Sonic Team character designer Naoto Ohshima turned 54 today. 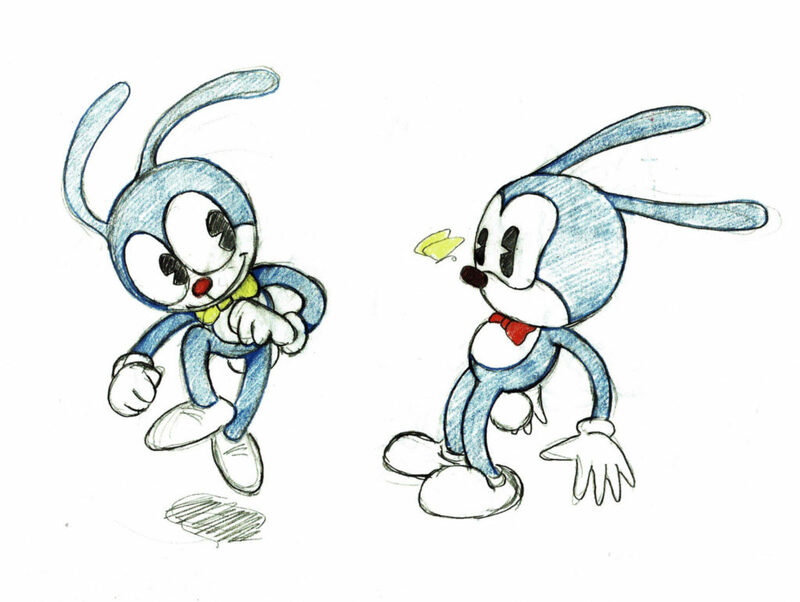 Ohshima is best known for designing Sonic the Hedgehog and Dr. Eggman, as well as directing Sonic Team classics like Sonic CD, NiGHTS into Dreams and Burning Rangers. 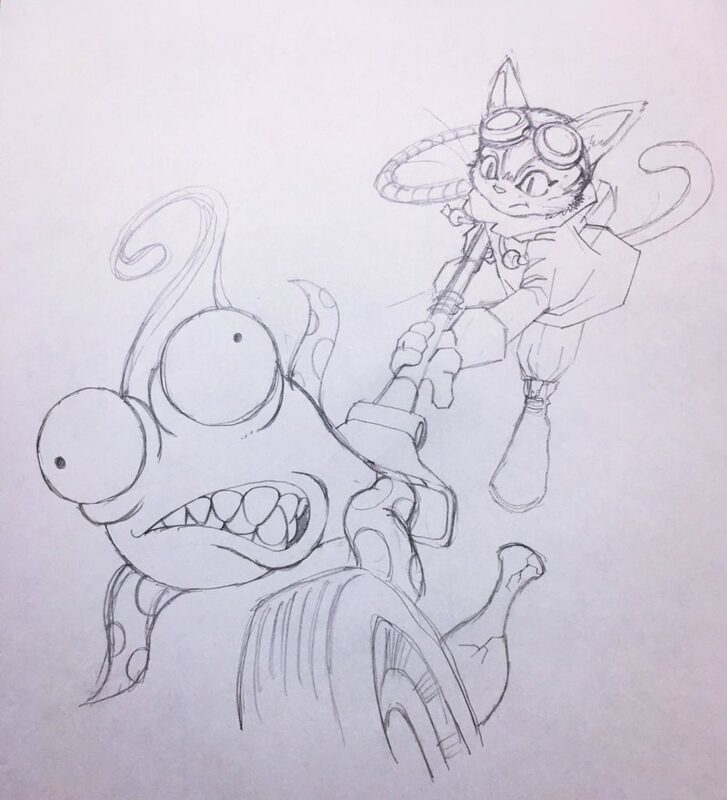 After leaving Sonic Team following the completion of Sonic Adventure, Ohshima formed Artoon, where he would go on to create Blinx the Timesweeper (an attempt at creating a platforming mascot for the original Xbox) and act as a producer for a few Yoshi games. These days, Ohshima serves as the Vice President of Arzest, a Japanese video game studio he helped form after leaving Artoon in 2010. From all of us here at the Sonic Stadium, happy birthday Naoto Ohshima! Ohshima designed NiGHTS. Back in 2017, Ohshima posted this new piece of art of NiGHTS on his Twitter. Rumour: Sonic Mania to Include Animated Cut Scenes? Sonic Mania continues to build levels of excitement in our senior staffers not seen since the nineties; we’ve adored every little element and reveal of what is set to be a fitting homage to Saturn/Genesis/Megadrive-era Sonic, lovingly crafted by the Mania team. Continue reading Rumour: Sonic Mania to Include Animated Cut Scenes? 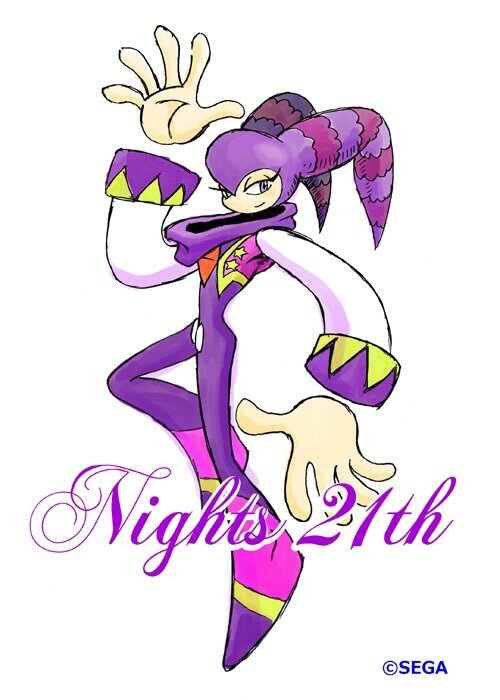 While Sonic celebrates his 25th anniversary, there is another SEGA superstar whose milestone we should honour: Naoto Oshima’s own NiGHTS, who debuted in NiGHTS into Dreams… on the SEGA Saturn over twenty years ago. The androgynous Nightmaren keeps watch over the dream world of Nightopia and protects it from the evil Wizeman. Since their premiere on the Saturn, only one other game exists to their name on Wii with Journey into Dreams, and barring their appearances on several spinoffs, it is unknown if we’ll ever see NiGHTS again in the future, but hope yet remains. We pay tribute to NiGHTS for today’s Mash-Up Monday with a pair of mash-ups by Chiruliru and James Fisher, featuring the Japanese themes of Stardust Speedway from Sonic CD and “NiGHTS and Reala” from NiGHTS into Dreams… Check them out below! So Sonic 1 & Sonic 2 got released on the Apple TV recently, why not add the other remastered title? Sonic CD (the good/updated version) is to be released on the Apple TV platform in the next few days, March 31st to be exact. Now can we please get Sonic 1 & 2 Taxman editions on console? That would be nice. Yesterday evening we learned that Greg Martin had passed away in May of last year through a friend of his on the Nintendo Age forums. Greg Martin’s art had a prolific presence in early 90’s video game box art, spanning dozens of franchises. 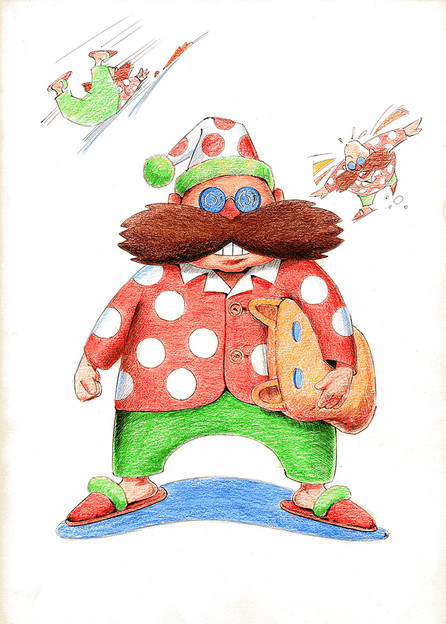 Though most Sonic fans may never have heard of him they will surely recognize his work: he was the man behind every piece of Sonic box art in the early 90s. 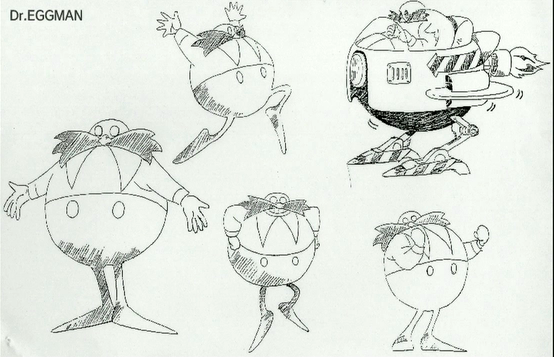 His work came to define Sonic’s appearance in America and Europe, appearing not just in video game box art but also in a variety of adverts. Nice and relaxed? Headphones on? Then you’re good to go, for it’s Monday business as usual here at the Stadium – Mash-Up Monday! KenJones3023 decided to combine the Japanese iteration of Collision Chaos Good Future, by Masafumi Ogata, with Lights by Ellie Goulding! 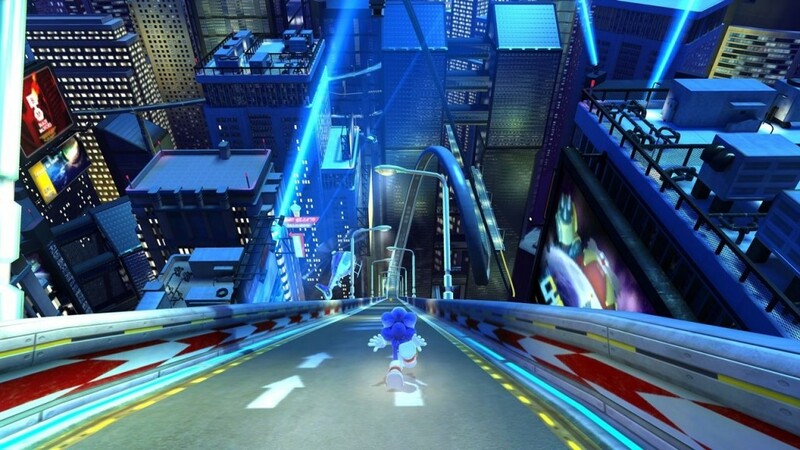 Kinda fitting… the lights of Collision Chaos only shone for Sonic once he was alone. Special thanks to Hyper-Shan of the SSMB for the tip. 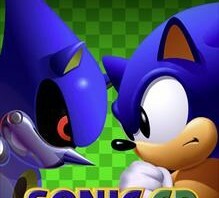 If you want to submit a mash-up you’ve found or made yourself, feel free to send in what you’ve got over at vizardjeffhog@sonicstadium.org! “Oh Yeah!” Sonic 4 & Sonic CD coming to the Ouya! 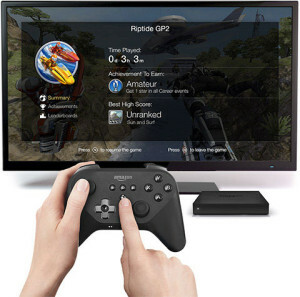 If you havn’t heard of the Ouya yet, you probably won’t care much about this particular bit of news, and if you don’t know what Ouya is, then you might want to look it up. Anyway, on june 27th, Sega is going to release three Sonic games on the system, they include, Sonic the Hedgehog 4 (episode 1 & 2) and Sonic CD, all of which have been optimised for Ouya’s Tegra 3 processor. The interesting part about this deal is the change in strategy. 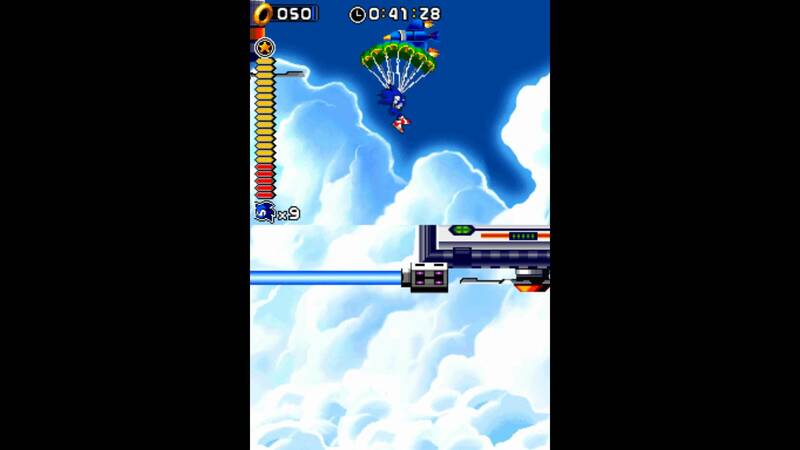 When players download the titles, they will be able to play a the first levels of Sonic 4 episode 1 and Sonic CD for free, and the first two levels of Sonic 4 Episode 2 for free. If they like the game, they can purchase the full game later on. Each game will cost $6.99 each. 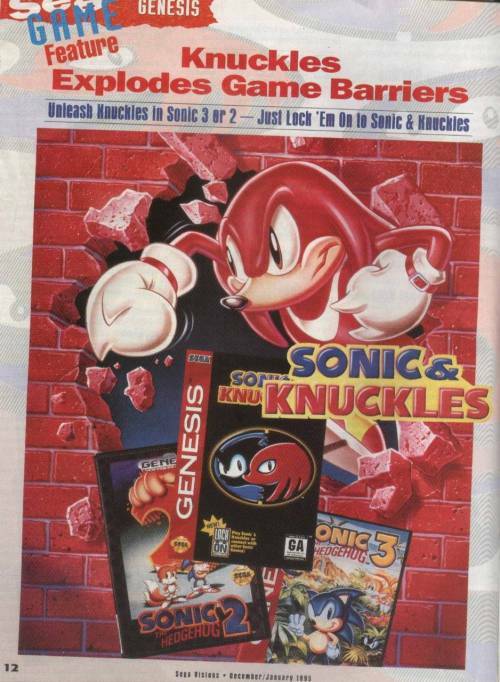 The deal is only for these three titles and there was no mention of plans to expand the number of Sega games at this time. So… anyone here actually getting an Ouya? Fresh off their recent success with Milky Way Wishes: A Kirby Super Star Tribute, the folks at OverClocked Remix have come together for a new tribute album, and this compilation is one for the ages! Get it? Ages? Time travel? SEGA in reverse? …aw forget it, you’re no fun. 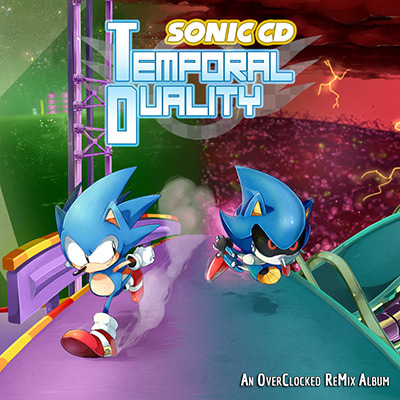 TEMPORAL DUALITY: A Sonic CD ReMix Album is set to release at some point this year, and will feature rearrangements of both American and Japanese soundtracks by some of OCRemix’s best! Fans of either Spencer Nilson’s score, or that of Naofumi Hataya and Masafumi Ogata, have every reason to look forward to this album once it hits online servers! Familiar OCR names such as Amphibious, Rexy (who contributed some excellent sounds to our last album), DiGi Valentine, and WillRock are taking part in this, so prepare your bodies! Do so in advance by checking out the preview! Stoked? You should be. While you’re at it, don’t forget to nab previous OCRemix Sonic tribute albums – Hedgehog Heaven (Sonic 2), Project Chaos (Sonic 3 & Knuckles), and Sound of Speed (Sonic 1)! Special thanks to TRiPPY for the tip! Some of you might know of an anime/light novel series called Chūnibyō Demo Koi ga Shitai!… If not, then you might at least know of Rikka Takanashi, one of the lead characters, who has gained some amount of internet fame through a short video featuring her spinning her fingers and shaking her hindquarters to Trina’s Pull Over. TripleKyun then had the brilliant idea of mashing the entire track with Stardust Speedway Bad Future JP, as it was arranged in Sonic Generations! For Mash-Up Monday, with plenty of finger wagging from Metal Sonic and Rikka, here is Pull Over (That Metal Too Fast)! If you have a mash-up of your own, or found one you find should have a spot on the front page, you know where to send it! Hit me up at vizardjeffhog@sonicstadium.org! This weekend, Gamersgate has a HUGE sale on all available Sonic PC Titles. All Sonic games are anywhere from 50%-75% off. This includes Sonic & All-Stars Racing Transformed, Sonic Generations, Sonic 4, Sonic Adventure 1 and 2 Sonic CD and many Sonic Genesis titles for as little as $1.25 and up! The sale is only for this weekend, so hurry up and nab a huge Sonic collection for your PC! UPDATE: We’ve heard that the free version doesn’t come with achievements, only the paid version does. Own a Nokia Lumia Windows Phone 7 & 8 and love Sonic? 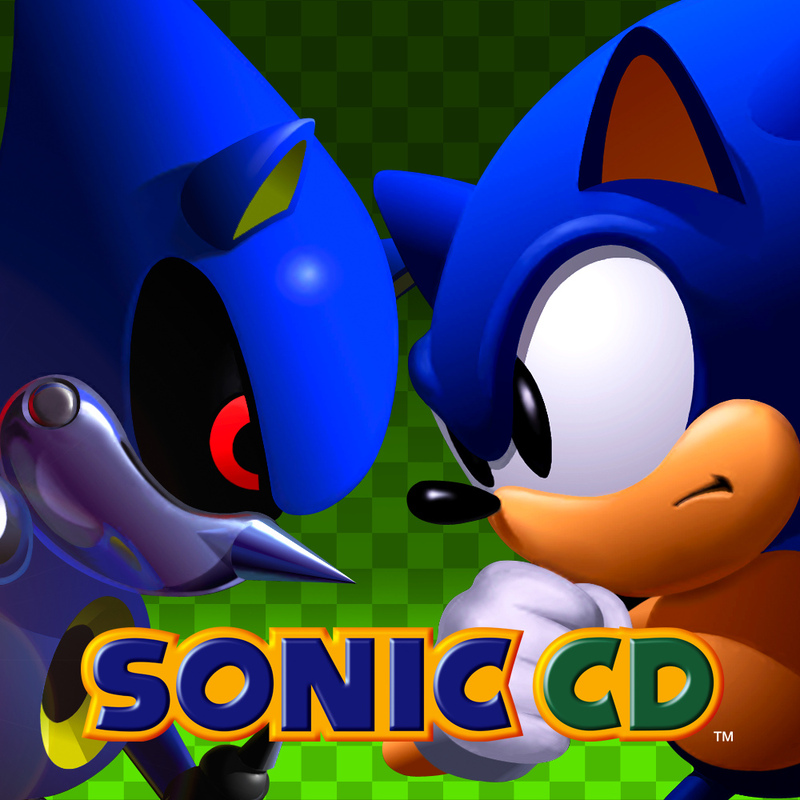 Well, the recent upgrade of the Mega CD classic Sonic CD is now free to download. Yes, it is F R E E FREE of charge. New features include 16:9 widescreen, achievements, leaderboards and both the US and Japanese soundtracks. You can download the game from your Nokia Lumia phone here. 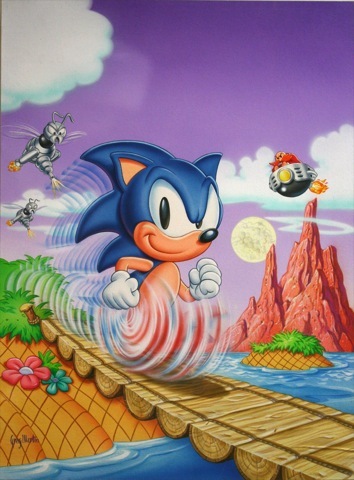 This week’s Mash-Up Monday has been brought to you by SEGASonic: Radio! DVoLVE, otherwise known as Dan Dyer of SS:R, has brought together Stardust Speedway Bad Future US from Sonic Generations with Beyoncé’s Run the World (Girls) for your audial enjoyment! Found an interesting mash-up somewhere on the web? Have one of your own you’d like to see on TSS? 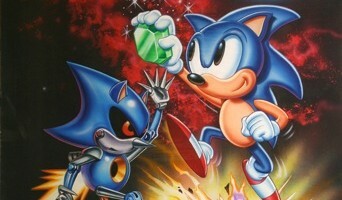 Then send it over to vizardjeffhog@sonicstadium.org! 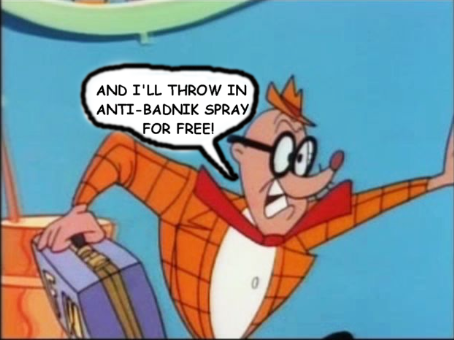 I’ve always been a fan of the Old Spice commercials… I’ve always been a fan of Sonic the Hedgehog… and I’ve always been a fan of body odour protection. NOW GET ALL THREE AT ONCE! FEEL THE 16 HOUR B-O BLOCKING POWER! OLD SPICE: SPAGONIAN ROOFTOP RUN. A little over a month ago, another music legend has passed. MCA (aka Adam Yauch), a member the renowned hip hop trio known as the Beastie Boys, lost his life to cancer on May 4th. He died at the age of 47. You might recall Alien/Renegade, one of many musicians who contributed to The Sonic Stadium Music Album. For Mash-Up Monday, he has prepared a trio of mixes consisting of music from the Beastie Boys, all of which being featured here today. We present to you “An Open Letter to Rusty Ruins”, “Wacky Body Movin”, and “Here’s a Little Final Haunt for Ya”. Enjoy! If you are a PS3 owner and you also subscribe to Playstation Plus, there’s some rather nice deals on the Playstation Store right now, with Sonic CD heavilly discounted and other DLC packs at less than half price. I can’t remember the last time I got to see this headline, let alone write it, but indeed it seems to have finally happened: a Sonic game has topped a sales chart. 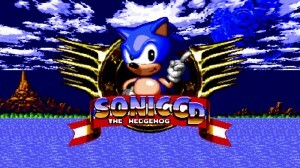 Sonic CD, the port of the legendary SEGA CD title managed to become the best selling on the PSN for the month of December, outselling other titles such as inFamous 2: Festival of Blood. Sonic CD’s success on the PSN shows just how strong Sonic brand is more then 20 years after his debut. 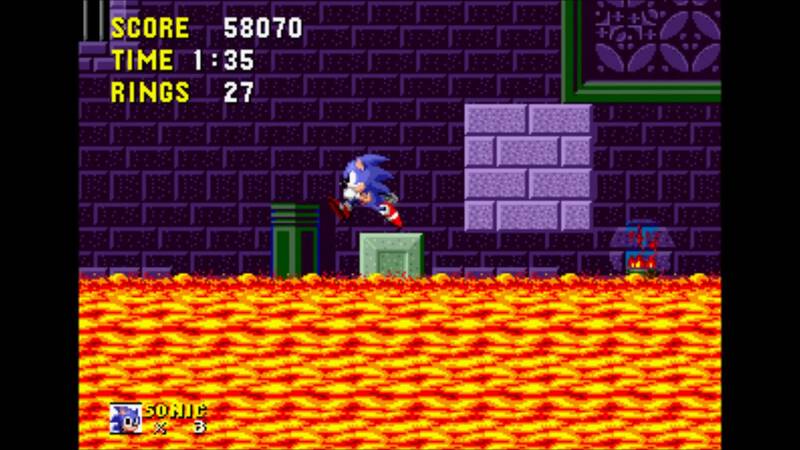 Given how fun Sonic CD is all these years later, it’s no surprise. These games definitely have a timeless quality to them! You can find the full PSN chart after the break. 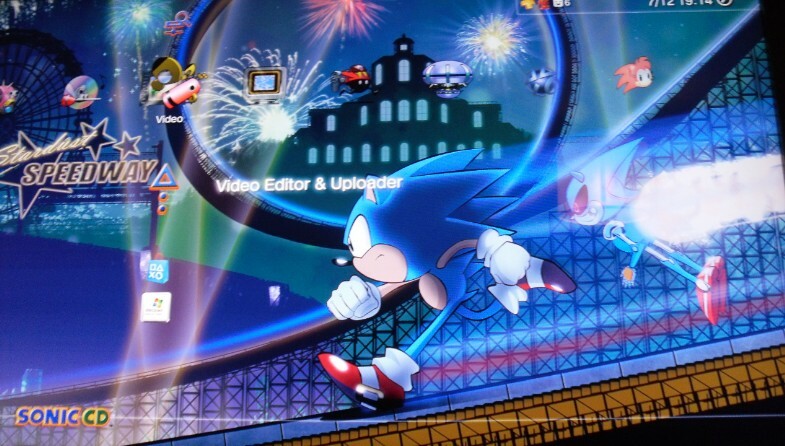 Sonic PC Digital Downloads Galore! Sonic CD, Sonic 4, Generations DLC and…Spiral Knights?! What a huge morning for Sonic fans! 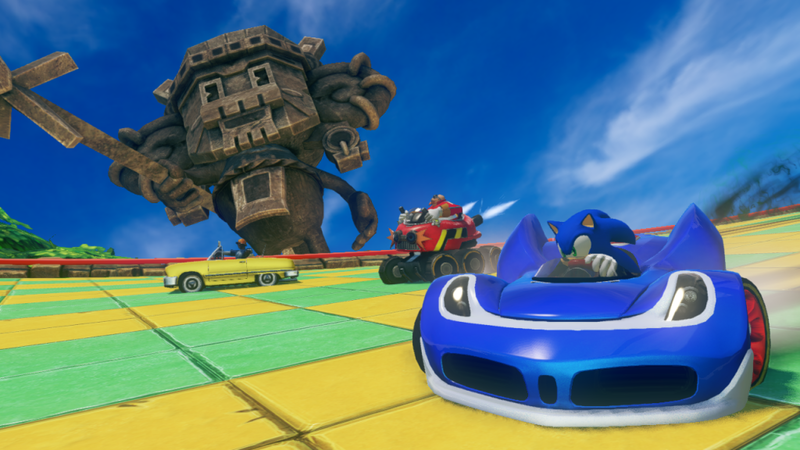 Sega has just announced a bucketload of PC Sonic digital content available now. 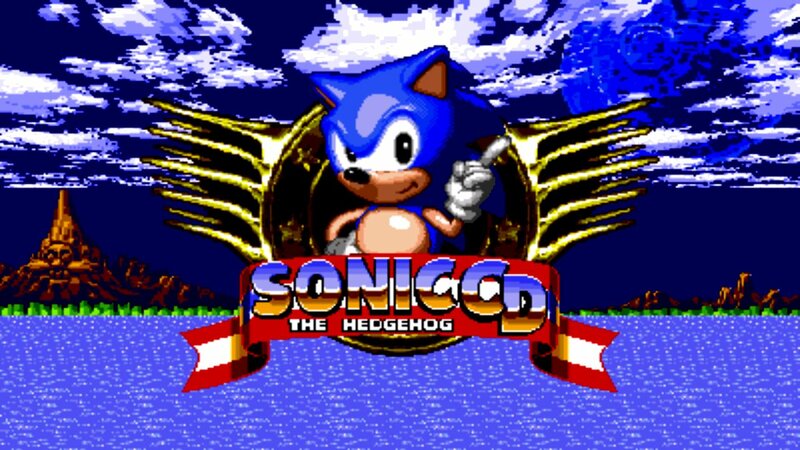 Sonic CD is now on steam! 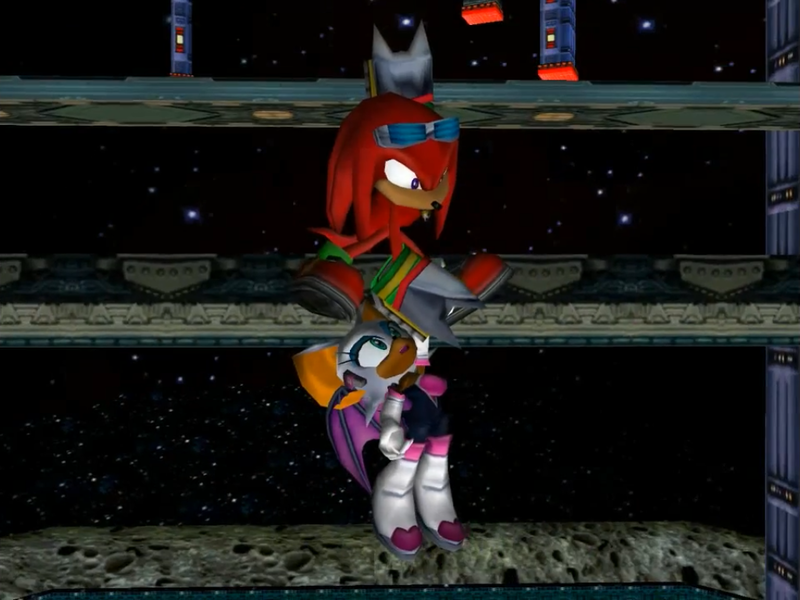 For a limited time, purchase Sonic CD and you get DLC for Spiral Knights that lets you dress your knight as Metal Sonic. Want more Sonic in your spiral Knights game? You can also purchase a Tails Knight! 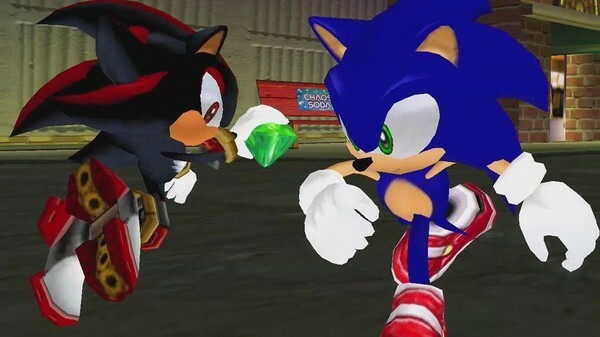 Also, Sonic 4: Episode 1 finally arrives on your PC as well as the DLC content for Sonic Generations. Talking about my Generations, there’s a demo available for that as well. Happy Sonic PC DLC day!